Local community builds house for family of UXO survivors. 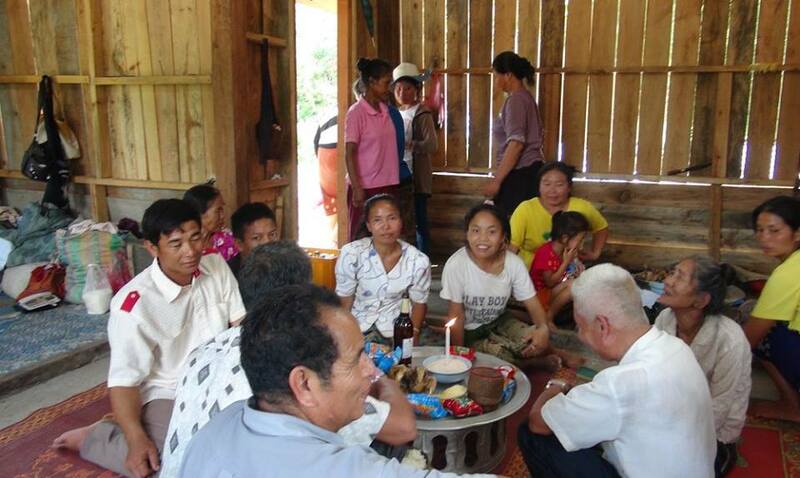 Local villagers in Kham district recently built a house for a high priority family of UXO survivors. 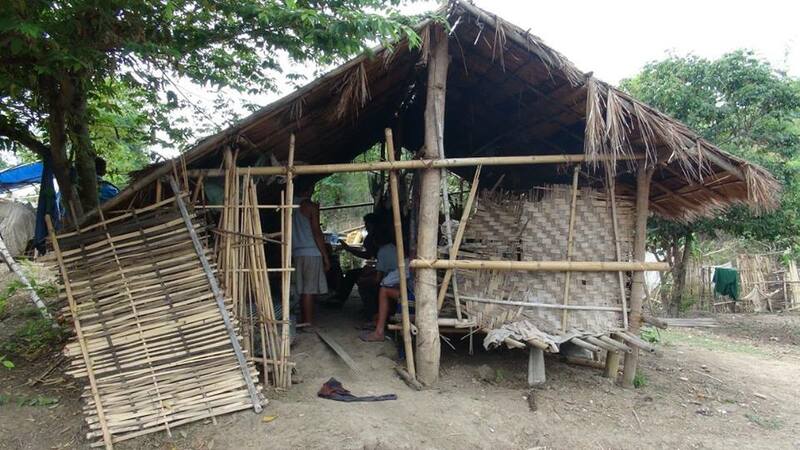 Three days after they moved into the new house, part of their old bamboo house was destroyed in a storm. Ms Vanh is 42 years old, divorced and lives in Kham District with two of her four children. Another son lives in Vientiane with his wife. Vanh has had an intellectual impairment since birth and her son who lives with her has a similar impairment. 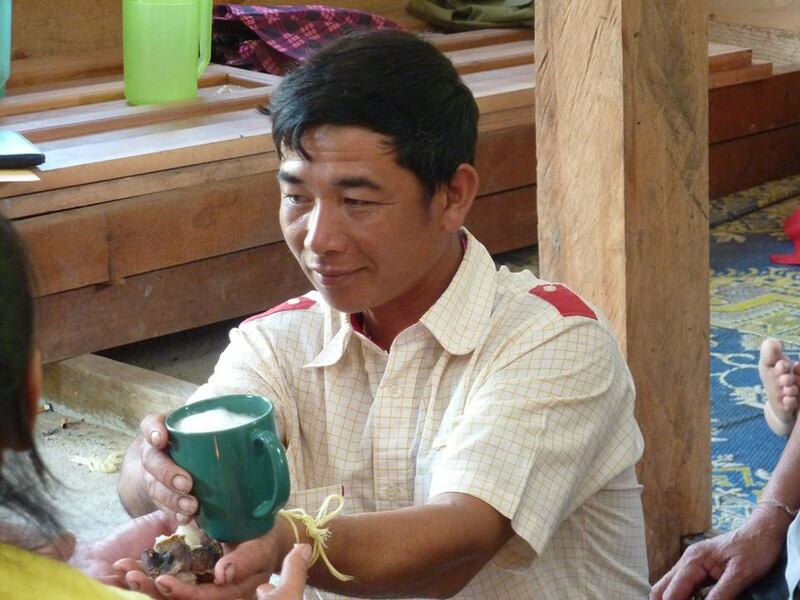 In 2008, Vanh and her children were digging a channel near their house when a UXO exploded. 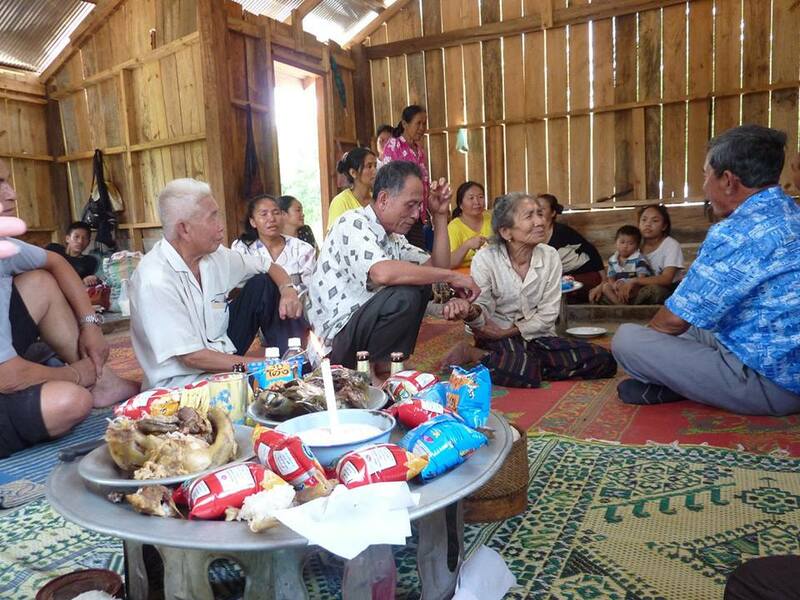 One son died as a result and Vanh and her other children sustained shrapnel wounds. When QLA met Vanh, she and her children were living in a bamboo house with a grass roof that was quite far out from their village and in a state of major disrepair. The Head of the Village told QLA that the local community had wanted to help this family for a long time but did not have the funds to do so. Very grateful that QLA could pay for the building materials, the Head of the Village allocated some land for the new house which was much closer to the village than the old house and would improve security. A few weeks later the land was cleared and Thoummy (QLA’s Executive Director) handed over the building materials to the village authorities and Ms Vanh’s family. The villagers worked hard to build the house before rain season. 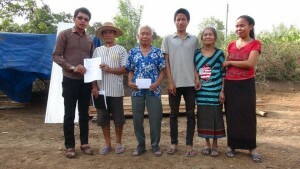 Once completed, QLA made a follow up visit to officially hand over the house to Ms Vanh. A UXO survivor herself, Ms Vanh’s mother spoke on behalf of her daughter. She expressed her gratitude to QLA and the person whose private donation has enabled the house to be built. She said that at this late stage in her life she now has peace of mind knowing that at long last her daughter and her family have somewhere safe and secure to live. 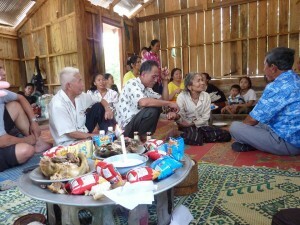 QLA would like to thank everyone involved in helping to improve the quality of life of this family: QLA’s donor, Ms Vanh’s family, Village authorities, local villagers who did the labor, the village women who fed the builders, the local building technician and the technical consultant from the Vocational School. Sok dee der (a sincere good luck wish). With the site already cleared, Thoummy hands over the building materials. 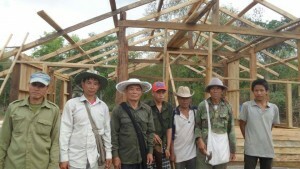 The local villagers worked hard to complete the house before rain season…all at no cost. 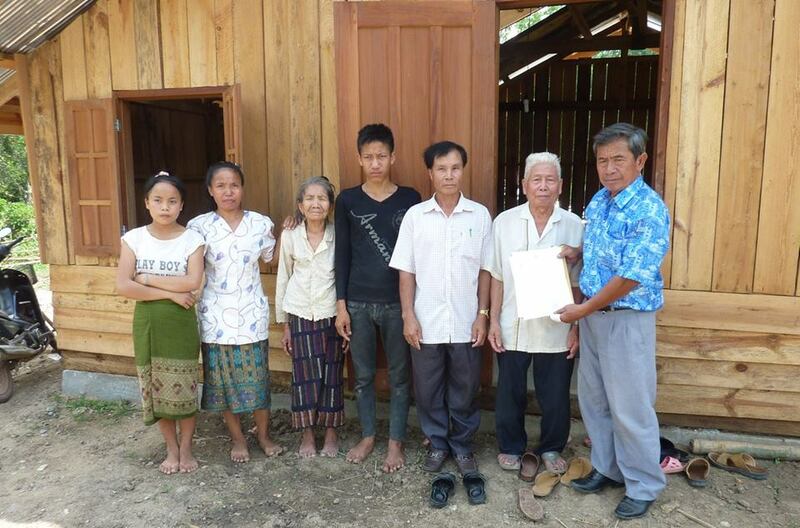 Mr Khamkhone Phaioudone, (President of QLA’s Board) hands over the house to Vanh and the village authorities. Vanh’s family held a basi ceremony to show their gratitude to the private donor, QLA, the building technician and to wish Vanh and her children well in her new house. Thank you offerings for the local building technician; what a great job he did too! The basi to wish Vanh and her children well in their new home. 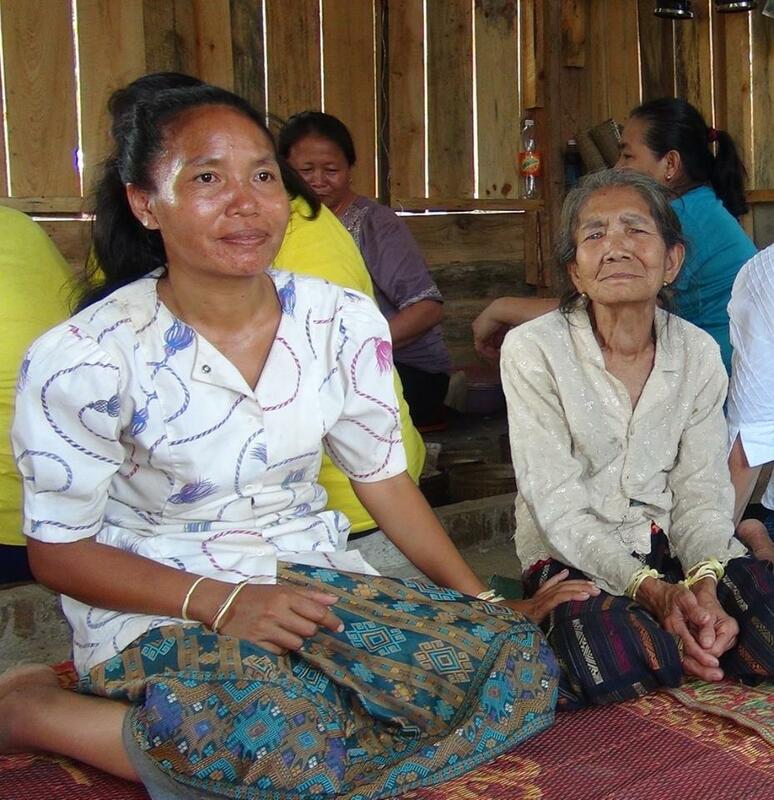 Ms Vanh and her mother (both UXO survivors). 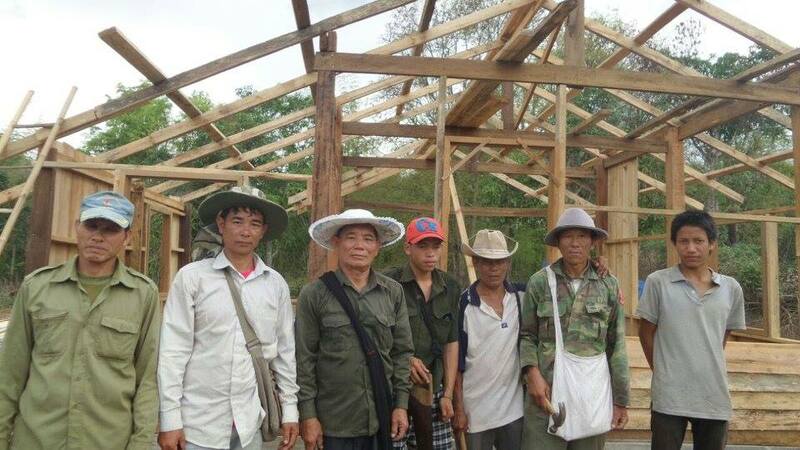 Posted in UXO stories and tagged Local community builds house for family of UXO survivors..
Phonsavanh Village, Xieng Khouang Province, Lao PDR | Email: qualifasc@gmail.com | Phone: (+856) 061 211124 | © 2015 by THE QUALITY OF LIFE ASSOCIATION - LAOS.